Incredible History of the 7,500-Year-old Observatory of Zorats KarerArmenia is a country full of archeological surprises. It is a country where mysterious stories appear at every corner, and most of them still wait to be solved. 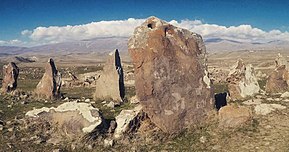 However, one of the greatest stories of prehistoric Armenia relates to the Army Stones, a riddle hidden between a marvelous construction of megaliths.Zorats Karer is also known as Carahunge, Karahunj, Qarahunj. It is located in an area of around 7 hectares and covers the site nearby the Dar river canyon, close to the city of Sisan. The ancient site is often called the ”Armenian Stonehenge”, but the truth of what it is may be even more fascinating. According to researchers, Zorats Karer could be among the world’s oldest astronomical observatories, and is at least 3,500 years older than British Stonehenge.Prehistoric Astronomy at Zorats Karer. The site was rediscovered in 1984 by a team led by researcher Onik Khnkikyan. After a few months of work, Khnkikyan concluded that the site of Zorats Karer must have been an observatory. Moreover, with time, Armenian archeologists, astronomers and astrophysicists found that there were at least two other ancient sites important for prehistoric astronomy in the vicinity: Angeghakot and Metzamor. In 1994, Zorats Karer was extensively analyzed by Professor Paris Herouni, a member of the Armenian National Academy of Science and President of the Radio Physics Research Institute in Yerevan. His expeditions revealed a great deal of fascinating information about the site. First of all, his team counted 223 stones, of which 84 were found to have holes. They measured the longitude, latitude and the magnetic deviation of the site. The researchers also created a topographical map of the monumental megalithic construction, which became the basis of further work. Finally, the main treasure of the site was unearthed – a collection of many impressive and unique astronomical objects. The researchers realized that several stones were used to make observations of the sun, moon and stars. They were located according to knowledge about the rising, culmination moments, and setting of the sun, moon and specific stars.